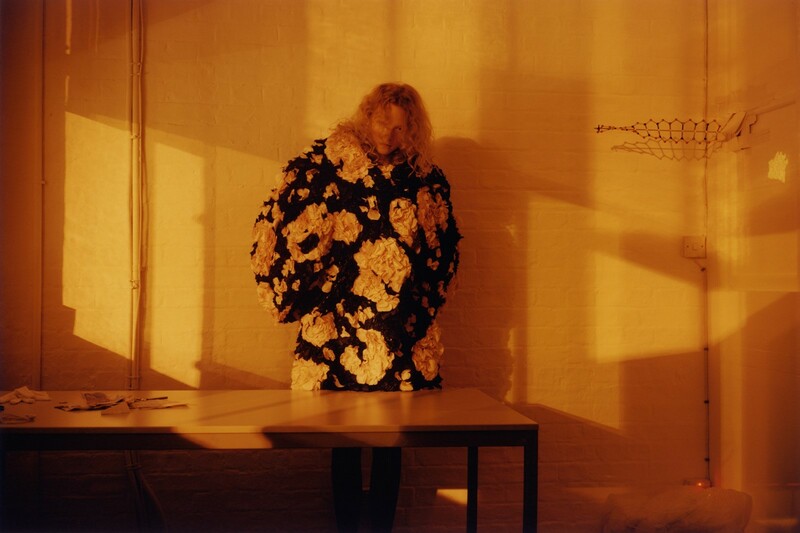 Over the course of 2015, Susannah Frankel was invited to accompany Chanel’s singular designer during a hurricane of activity encompassing six fashion shows, studio fittings, the creative direction of the Hyères festival, a blockbuster London exhibition and the high-maintenance care of a certain photogenic cat. She even took an embroidery lesson courtesy of the petites mains of Maison Lesage – one of the Paris ateliers owned by Chanel. 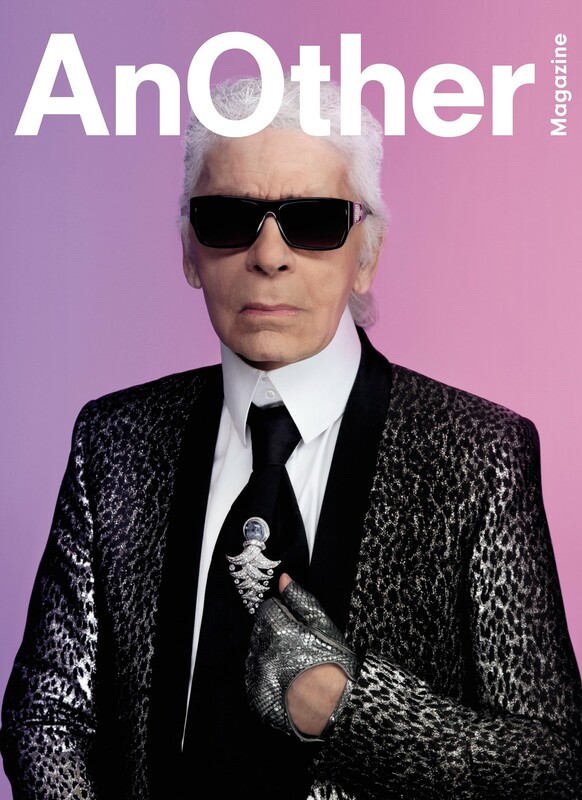 In an extraordinary in-depth interview, compiled from conversations conducted over twelve months, Frankel was allowed rare and privileged insight into Karl Lagerfeld’s complex and fascinating world. Karl Lagerfeld is sitting at his large, ebony desk. It dominates one half of the intimate studio at Chanel’s famed rue Cambon headquarters. “Chanel is quite modest in a way,” he says, and it is true that there is a discretion and ease around this storied name that quite possibly comes with the confidence that it is the single most successful fashion house in the world. Four years ago, the space in question, once occupied by Gabrielle “Coco” Chanel herself, was redesigned. A sign reading “Mademoiselle Privé” remains attached to the door, just as it was throughout her tenure here. “You cannot say this was the old studio,” though, Lagerfeld says. “The old studio had just three windows. There was no glass like this.” He gestures towards the reflective surfaces sparkling prettily in the light, pleased with the effect. “You see the photos from when she worked here. It was beyond modest. But all the studios were beyond modest. At Balmain, if you opened the doors away from the salons it was bordering unclean. At Patou – horrible. Nice salons, but behind the scenes – horrible.” He talks, as always, in the staccato rhythm that he has attributed to his formidable mother who, were her son not to get to the point quickly as a small child, would simply turn around and walk away, bored. Still, it’s worth noting that for all the brevity of his observations, Lagerfeld is the only remaining couturier to have witnessed such scenes. More broadly, he is a master of understatement, tending to play down his stature just as (he is the first to point out) Chanel plays down its own. Back in the present, and “There are not so many people who work in here,” he continues. “There are only the heads of department. And it’s a historic building. Chanel owns the whole block. I could ask for a huge studio but I’m very happy here. I’m superstitious. I don’t want to mess up something that works only because of a folie de grandeur. I think it’s pretty chic with all the glass. And who has a floor in silver?” The silver marquetry beneath his feet is clearly precious, but its opulence is subtle, as opposed to dazzling. “I think over-decorated places are in bad taste,” he says. It almost goes without saying that Karl Lagerfeld possesses the finest taste imaginable. His manners rival those of an 18th-century aristocrat, such is their refinement. He is tirelessly generous towards the person he is speaking to, despite the fact that what they ask him may not be especially inspiring. “Is that the best you can do today, Mrs Frankel?” he once wondered with a nod and a smile. Post-show he may have as many as 12 interviews lined up for television and more still for print. Blunt questions are met with remarkable humour, dignity and grace. As for his physical appearance – the bespoke Hilditch & Key white shirts with their four-and-a-half inch collars, the perfectly cut, sharp-shouldered jackets predominantly in black or grey, the fingerless gloves presently in silver python skin, the antique jewellery and tie pins... Today the latter is a delicate cluster of star and dark sapphires dating back to the late 1920s. Ah, Choupette. The feline four-year-old love of Lagerfeld’s life has, he has said, made him a better person: “I think I was nasty and mean perhaps,” he explains. “But you know I hate to be in my houses without her.” He has five of these in Paris alone: one for sleeping, one for eating, one an office, one for photoshoots, and one for guests. “When she goes away to see her doctor once a month for two hours, I don’t like it. Even if she’s sleeping in a corner, I like her presence.” His face lights up at the mere mention of her name and he has a constant stream of photographs on his phone recording her every move, courtesy of one of two maids. “I get photos of what she’s doing this instant,” he explains, scrolling down the screen of his iPhone and sharing them, every bit the proud owner. “You admit, she is beautiful. Very.” Here is Choupette perfectly poised on a plump cushion, curled up fast asleep on a sofa, or – less obliging – ears pinned to her head, glaring straight to camera. “Look at this one. She’s furious. Furious. Françoise [one of the aforementioned carers] must have done something she didn’t like.” If I were Choupette’s maid, I say, I might think twice before sending that picture to him. “We keep a diary – everything has to be recorded,” he replies, deadpan. There is certainly nothing nasty and mean about Karl Lagerfeld at this moment. Instead he seems positively relaxed – casual almost, warm, funny and expansive, leaning back in his quilted leather chair, removing his dark glasses to reveal intelligent brown eyes. A case in point: when the phone on his desk rings, he picks up the receiver and hangs up immediately, clearly with no interest whatsoever in who is trying to contact him. It’s safe to say that only the privileged few are likely to have access to his direct line, but he’s enjoying answering questions and not in the mood for taking calls, whoever it may be. His tireless curiosity and interest in responding, even though it’s safe to assume he has been asked anything and everything many times before, is hugely engaging. In front of him are the tools of his trade – specifically a sheaf of lightweight A4 paper and pens for sketching. He draws often and – this is certainly not news – extremely well. He prefers to use Shu Uemura eyeshadow for colour as he finds it more beautiful than conventional materials. Often, though, his musings – and when he is sketching to illustrate a point, which he does regularly, that is just how it seems – are monochrome. “I work often for the bin,” he says, as having explained himself, penning a map of the street where he lives, say, or an example of a typical 1950s fashion illustration, he crumples the drawing and tosses it into that very receptacle. It is tempting to reach out and save it for posterity, but he’s having none of that. Much has been made of the fact that Lagerfeld’s rise to fame was through ready-to-wear, and at Chloé in the Seventies and Chanel in the Eighties he was doubtless a trailblazer in that field. 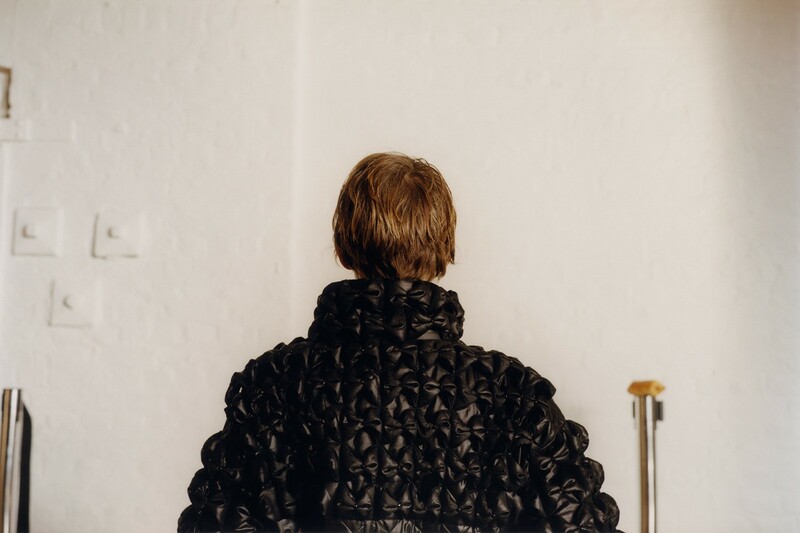 However, despite the fact that he didn’t study fashion at school, having left his native Germany at the age of 17, he cut his teeth in the haute couture ateliers in Paris. “I didn’t like Balmain so much,” he says, more than half a century later. “The technique was very basic. When I was at Patou, I was much too young to be an art director, but they still had the premieres then from the Twenties and Thirties, and they taught me all the techniques. So I have the techniques and understand how it’s done. I never do it, I don’t have time, but if there’s a technical problem I can explain it, even in the worst situation.” It almost goes without saying that such experience is priceless. All of those who collaborate with him – from the heads of the Chanel ateliers to his right-hand woman of 27 years, Virginie Viard – are at great pains to say that Lagerfeld’s drawings are precise to the point that a total look can be cut and finished down to the very last elaboration following their instruction. “I’m just a sketching person, with very precise ideas,” he confirms. “There are not so many others working like I do and also who spend so much time. Because to make those sketches takes time.” He draws at home in the mornings, and “I’m always late because I don’t look at my watch. You know, when I sketch, time passes more quickly than I think. I think I’m there for an hour, in fact I’m there for three hours. It’s very funny, sometimes the things I do, I see them like an electronic flash. Yes. I see a thing and I can put it on paper,” he says. In 2011, when we first met, he put this in a more extreme way. “I personally have nothing to say, nothing to explain. I make such big efforts to forget things. Non, non, non, I couldn’t tell the truth.” Instead, he is a magical and magnificent construct, willfully difficult to pin down. The mystery surrounding him is, in fact, profound, deeply romantic and at times poignant over and above vague, which means that the man behind it is afforded at least a certain degree of privacy. To probe too far into its depths would seem nothing short of vulgar. 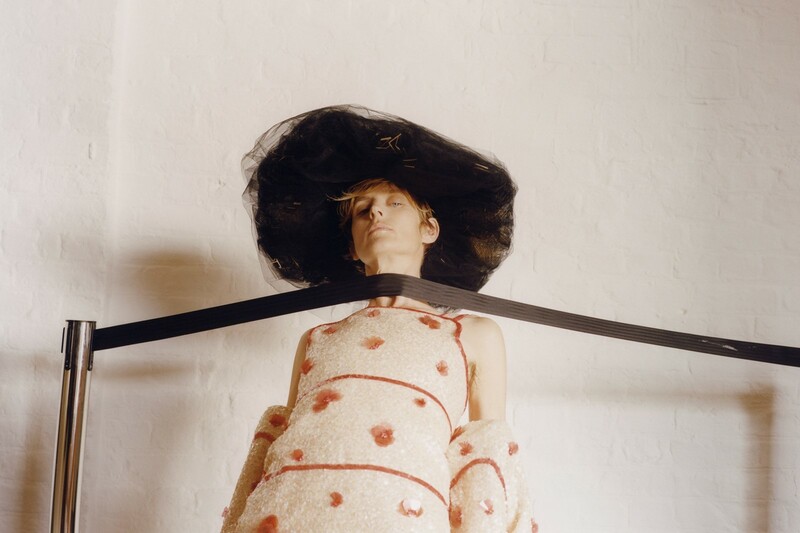 Nonetheless – and almost paradoxically – his sensitivity to reality and instincts as to what people might want to see (and indeed, wear next) are finely honed in the extreme. Lagerfeld’s collections, and his shows for Chanel more than anything, may be an expression of a world better and more lovely than our own, but they are always very much of their moment. For example, in March last year, for the Autumn/Winter ready-to-wear show, a typically French brasserie was installed in Paris’s Grand Palais, and the accompanying clothes were bourgeois Parisian to match. Lagerfeld said at the time that the people in the country where he has chosen to live for the greater part of his life were suffering from an identity crisis. The show took place only months after the Charlie Hebdo attack, although he would have conceived the location long before that. Still, it was nothing if not prescient. Only an hour after this interview, one of many meetings throughout the year, gunmen and suicide bombers turned on Paris more broadly, a moment that will go down in history as horrific for France as 9/11 was for America. Away from his day job, he is also an art and fashion photographer (he shoots editorials for magazines across the globe and advertising for both Chanel and Fendi), an art director, and superstar in his own right. In 2004, he was the first designer to create a collection for high street retailer H&M, setting a revolutionary precedent. He says that appearing in the accompanying campaign made him a household name. All of this makes him the ultimate 21st-century designer. His model is the one that every other fashion house or designer must surely strive for. And none even come close. 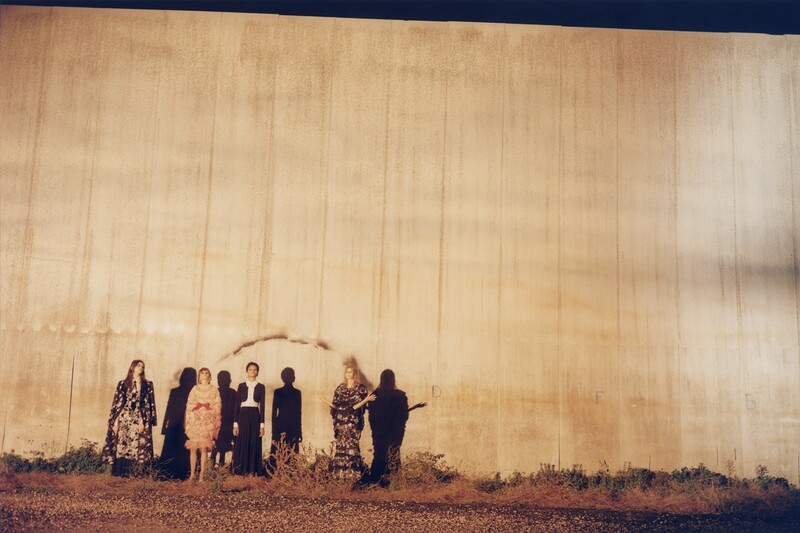 What he decided to do was to maintain the codes – the embroidered tweed suits, the little black dresses, the double-C logo, the pearls, the camellias, the number ‘5’, and much more – but imbue them all with a post-modern sense of irony that was very much of the moment. And, season after season, he is reinventing them still. The brilliance of Karl Lagerfeld is that his exceptional and passionate understanding of the past is never cumbersome. He breathes the present – and often the future – into everything he touches. It is telling that Lagerfeld inspires huge loyalty from members of his inner circle. Charlotte Stockdale is another trusted member of the group: she has styled Fendi womenswear for eight years. In early December 2015, Lagerfeld was in Rome, not for Fendi but Chanel, specifically for the house’s annual Métiers d’Art event, launched in 2002, which showcases the techniques of the Parisian ateliers that it began to acquire in 1984 (along with the purchase of costume jeweller Desrues) and later consolidated with the launch of its Paraffection umbrella (which translates as “for the love of”). Past Métiers d’Art collections were presented in London, Paris, Venice, and Dallas. In each instance, Gabrielle Chanel and the company’s connections to a chosen destination are drawn upon. Chanel lived in Rome for a time, on Via Giulia, one of the city’s most beautiful streets, and dressed actors for the films of Visconti and Antonioni. Those lucky enough to be invited to Chanel’s 2016 Métiers d’Art were offered a private view of the Sistine Chapel, a visit to Galleria Borghese, and a “secret tour” of hidden treasures, including a formerly bricked-in Renaissance shrine, a Mannerist and Baroque church, and a library of books dating back to the ninth century. “Paris in Rome” – as the show was called – ended the day, and guests might have been forgiven for believing that witnessing such a degree of historic splendour beforehand would be a tough act to follow. Any doubters were proved wrong, however. The location was Cinecittà Studios, the legendary “Hollywood on the Tiber” founded by Benito Mussolini in 1937, and the birthplace of such epics as Joseph Mankiewicz’s Cleopatra, William Wyler’s Ben-Hur, Roger Vadim’s Barbarella, and Martin Scorsese’s Gangs of New York. Parts of Zoolander 2 were also worked on here... Most famously, Cinecittà was Federico Fellini’s favourite studio, specifically – and fortuitously – Studio 5, where La Dolce Vita, Casanova and many of his other classic films were realised. A brass plaque beside the entrance quotes the Italian director as saying: “When I’m asked what city I’d like to live in, London, Paris or Rome, my answer is Cinecittà… Cinecittà Studio 5 is actually my ideal place, this is how I feel before an empty stage, a place to be filled and a world to be created.” A photograph of his words graced the front of Chanel’s invitation. A traditional runway show would never be enough. And so, on this occasion, guests sipped cocktails on an immaculately conceived, monolithic, flame-lit set of ancient Rome. They then filed into a second studio which screened Lagerfeld’s typically self-deprecating Warholian short Once and Forever, starring Kristen Stewart and Geraldine Chaplin as a young and not-soyoung Coco Chanel respectively. Finally, it was on to the main event, where a complete Parisian street scene – imagine bars, brasseries, cafés, grocery stalls, and vintners – had been built over a six-week period. Openly steeped in nostalgia, it was drained of colour to resemble a black and white film. It came alive with the clothes. Out came leather pasta farfalle, lovingly hand-crafted by master embroiderers, Lesage; feathers hand-painted to look like marble, courtesy of Lemarié; two-tone pumps with pearl straps and a heel decorated with a single pearl around which was wrapped a coiled silver snake, created by Maison Massaro; and necklaces of rosary beads made by Goossens worn over knitwear by Barrie. Just like the set, the collection started out in black and shades of grey: the Chanel suit came with a trompe l’oeil long-line jacket (or was it a jacket over a skirt?) layered over skinny trousers and with a matching bag hanging from a signature gilded chain. Next were little black dresses in chiffon, pleated and frilled to perfection, spliced with panels of black lace. Later, colour came to the fore: faded pastels and burnished gold. With their tousled hair and smoky eyes, the models were a modern-day fusion of a young Brigitte Bardot and Anouk Aimée, the perfect embodiment of a young and hopeful French spirit. Post-show, the backdrop sprang to bustling life and glorious Technicolor. Shop fronts opened to serve pasta, fine wine, gelato and offer bouquets. Quietly, standing above it all on a terrace looking down on his achievement, Lagerfeld greeted guests. This story originally appeared in the Spring/Summer 2016 issue of AnOther Magazine.